Excellent Movie. Must Watch Movie. 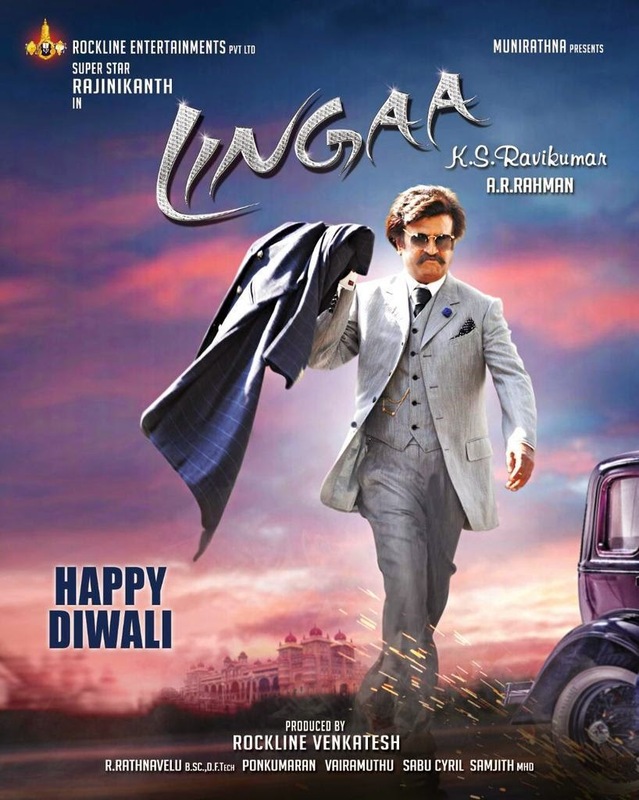 *) Super Star Rajini Kanth marvelous performance in two roles (i.e., King Lingeshwar and Linga). K S Ravi Kumar direction is excellent. Heroines Sonakshi and Anushka performance is very good. Jagapathi Babu action is very good. *) Sonakshi action is excellent, as innocent village lady. Anushka action (as journalist) is something different. Both are having major roles. *) It's a King story. The storyline is about to build a dam by taking self-initiative. The movie is full of entertainment. *) Costumes, Screenplay and Cinematography are excellent. Especially, in case of the following exciting scenes, (1) picturization of King Lingeshwar story with 'Construction of Dam', Palace, etc. (2) Sonakshi brings India Flag. (3) King Lingeshwar words to vanish Caste/Religion feelings in people. *) Fights are excellent. Especially, Train fight and climax fight are excellent. *) A R Rahman music is very good. All songs are very good. Especially, 'Indian' and 'Sathyam Shivam Sundaram' songs are excellent. *) The complete movie might have been made with the story of King Lingeshwar........ as Lagaan. Because, there is lot of scope to extend/enlarge King story.